KAP pens. Pens are made in China, printed in Australia. 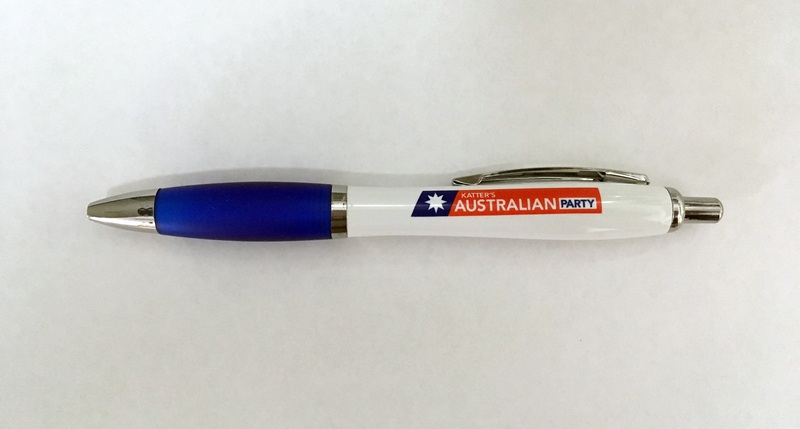 If you know a company that makes Australian made pens, please let us know! Want a discount? Become a member by purchasing KAP Membership – General, KAP Membership – Concession, KAP Membership – Young KAP or Lifetime Membership!